Steinbeis University Berlin works as a knowledge and technology transfer partner to companies in trade and industry. Its core services encompass: research and development, consulting, and – as a basis for all of this – education. 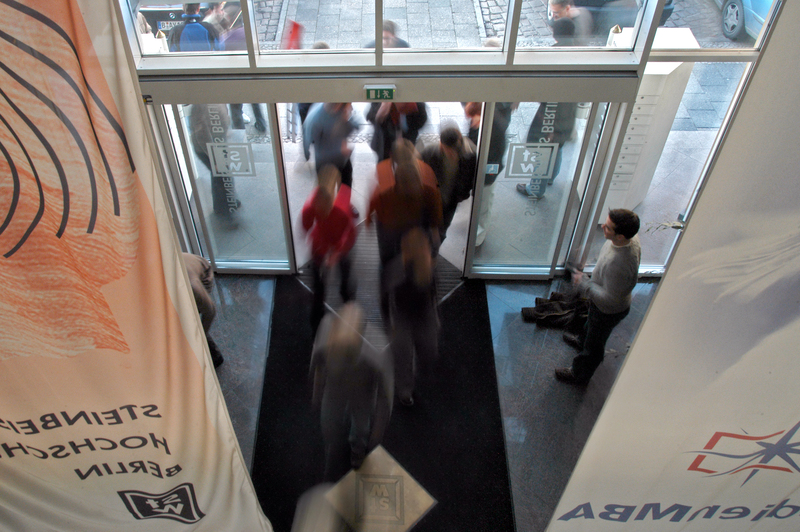 Founded in 1998, the Steinbeis University Berlin (German abbreviation: SHB) offers executive degrees and employee training and development programs matched to the needs of ‘knowledge and technology transfer’ – that is ideally suited to the requirements of modern, knowledge-based society. In order to leverage synergies and to bundle competencies, Steinbeis Transfer Institutes have formed networks and cooperation with Steinbeis enterprises offering consulting, research and development, and evaluation and expert reports. The SHB champions the needs of people in employment of all ages and sectors of industry. One goal: to provide access to the latest knowledge, thinking, findings, theories and insights from the worlds of academia and business. One reason: life-long learning is now pivotal to innovation and competitive advantage – for companies and individuals alike. All programs offered by the Steinbeis University Berlin are based on the concept of the transfer-oriented project competence programs. Our Project Competence Degrees (German abbreviation: PKS) are a specific response to the challenges presented by our knowledge-based society. Students work at a company in parallel to their degree, managing in-house projects for the “sponsoring company” with the support and input of our university professors and tutors, who are also active members of the business and academic community. This approach enables students to use the knowledge they have gained to create new knowledge that that can be circulated immediately within the company and applied to new solutions, products, and services.